This is one of the popular parks in Sacramento, and with good reason – it includes something for everyone. This park is very much a community-driven project. McKinley Park encompasses 32 acres of land, with all the usual amenities such as play areas, a jogging trail, a climbing wall for kids, a swimming pool, softball, volleyball and tennis courts, and several large picnic areas. 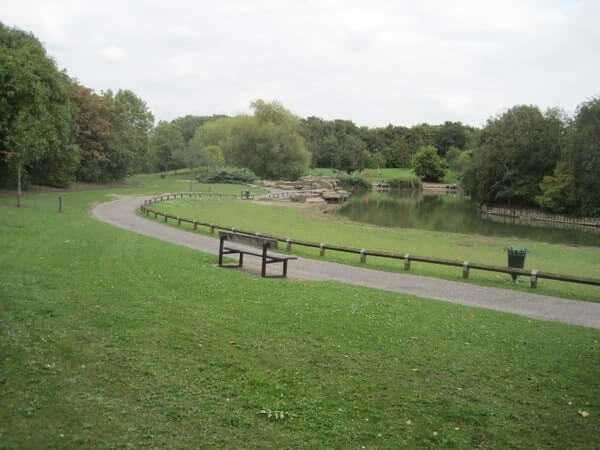 What makes this park so very popular are the additional features such as the community centre, a stunning rose garden, and the famous duck pond, which is also home to geese and a number of small turtles. You can even rent the rose garden for weddings and events. Check it out HERE. The large pond featuring water fountains is a central feature in addition to the tree house, riverboat, and the library. If you’re desperately searching for sanctuary, then you can find it just a short drive away in McKinley Park. This is a suburban park, but it definitely doesn’t feel like one. If you need a bit more space to unwind after a tough day or week, visit Maidu Regional Park – you’ll be able to leave your troubles behind somewhere in its 152 acres of space. This is another suburban park in the Sacramento area, but its sheer size prevents you from feeling you’re in a tiny local park. In fact, Maidu Regional Park is less of a park and more of a full day out for your entire family. It’s an extremely safe environment for you and your kids with a great play area for toddlers and younger children. The park also includes everything you could want in a park, such as a soccer pitch, skate park, basketball court, bike paths, and four softball diamonds. If you just want to cycle or jog around the park, that’s fine, too. If you find yourself getting tired, there are plenty of shaded benches for you to rest on and a snack bar for some treats. You can tell that there is a constant investment in the upkeep and development of Maidu Park – it shows at every turn. Measuring 225 acres, this is one of the largest parks in the Sacramento/Roseville area. Although the park does have lots of open spaces for you to enjoy, it features a full suite of amenities, including a full gym at the Roseville Sports Center. The sports center also has a 32-foot climbing wall for the more adventurous among you. The nearby Roseville Aquatic Complex has an Olympic-sized swimming pool and smaller pools for general recreational use. Sports fans are going to love Mahany Park for the simple fact that it offers up two softball fields, eight batting cages, four baseball diamonds (adults and kids), and tennis courts. Obviously, not everyone wants to visit a park to run around all day, so the picnic area is ideal for families wanting to relax in the sun, or shade. There is also a fantastic playground here. One important note is that the playground has been designed with full accessibility in mind, so kids of all abilities are catered for. Find out more information on the park HERE. We find there’s no better way to unwind than to spend some time in the dog park with your favorite four-legged friend. Bear Dog Park is very central for residents of Roseville, and the park itself has plenty of space for your doggy to enjoy stretching their legs. This space is divided into separate areas for larger and smaller breeds. Bags are provided so you can clean up after your hairy buddy if they use the bathroom, and there is even a doggy shower near the entrance for the more rough-and-tumble dogs that come to visit. During hot, sunny days, your dog can rest in the shaded areas of the park while you chat to the other dog owners, who have a reputation for being very friendly. These are just our favorite parks in the Sacramento area, but there are plenty others for you to enjoy. This is also a great place to raise a family, so if you’re interested in relocating to Sacramento, and require movers, we’d be more than happy to discuss your move with you. Call Fuller Moving Services at 916-349-1119.